A showcase of the varied art and artists of Walt Disney Imagineering, The Art of Walt Disney World is a stunning collection highlighting the rich and vivid creative inspiration behind the development of the landmarks, attractions, architecture and shows that constitute this poplar Vacation Kingdom. Selected from hundreds of thousands of conceptual materials, sketches, layout drawings and paintings in the collection of the Walt Disney Imagineering Library, this illustrated celebration of Walt Disney World features meticulously reproduced art with lavish production values n a beautiful large-format book that is destined to become a spectacular keepsake for fans of the resort, as well as art collectors and Disney fans everywhere. In addition, each illustration is presented with erudite and fascinating information about the projects, ideas, context and people involved in the creation of Walt Disney World that will further enrich the reader's appreciation of the exceptional talent behind Walt Disney World's creation - and perpetual evolution. 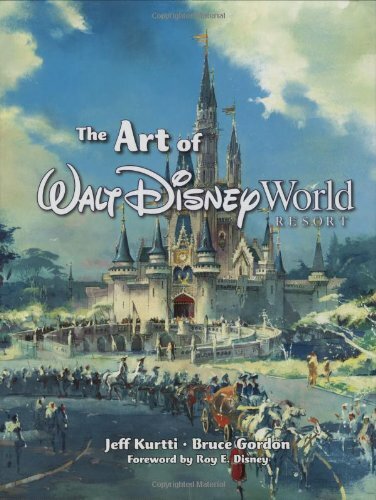 With a personal introduction by Roy Edward Disney, The Art of Walt Disney World contains countless wonders to captivate, inform and entertain.